President Obama, after mostly staying out of the spotlight since leaving office, plans to campaign in coming weeks in California, Illinois, Ohio and Pennsylvania — meaning there'll be a frequent fall contrast between Presidents 44 and 45. What to watch for: Look for other travel and more endorsements. During a speech in Illinois on Friday, Obama will preview top themes for the campaign trail. These include the importance of turning out to vote at this particular moment, especially given that Dems are notorious for sitting out during midterms or when Obama isn’t on the ballot. On Friday at the University of Illinois at Urbana-Champaign, Obama will receive the Paul H. Douglas Award for Ethics in Government and deliver remarks on the state of our democracy. Obama communications director Katie Hill said: "President Obama will offer new thoughts on this moment and what it requires from the American people." "He will echo his call to reject the rising strain of authoritarian politics and policies." 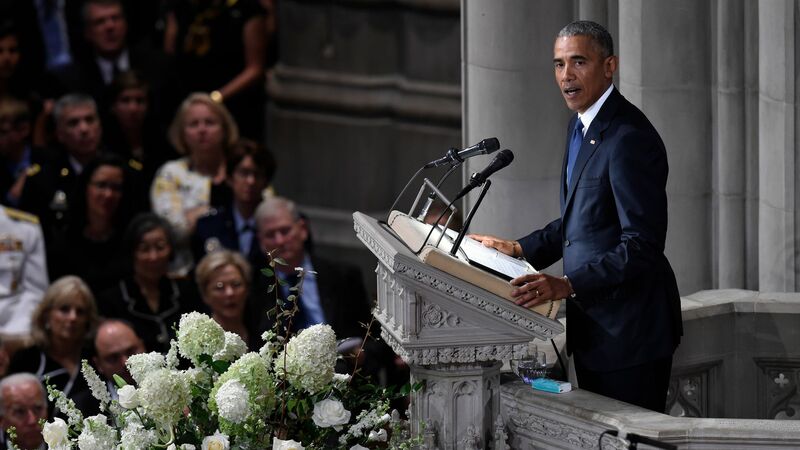 "His post-presidency is the next chapter in the cause of his life — bringing people together to change the world for the better." Obama will also headline a fundraiser in New York City this month for the National Democratic Redistricting Committee (NDRC), which is chaired by Eric Holder, his former attorney general.